The Singstar series on the PlayStation 2 still manages to impress and Sony have released another addition to the franchise with Singstar Hottest Hits and features some of the world's most popular "pop" hits that include Chasing Cars by Snow Patrol and even You Will Only Break My Heart by Australia's very own Delta Goodrum. 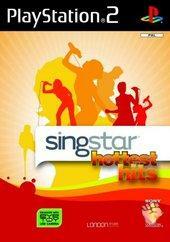 Although gameplay wise, nothing has really changed since its incarnation, Singstar Hottest Hits is still the best karaoke inspired game for any console and best of all, the title works on the PlayStation 3. Either play solo or with a group of friends and as the words appear on the screen, you need to match your words with their words and the more harmonious you sound, the higher the points will be allocated to you in order to achieve "Singstar". Graphically, the title features a variety of music videos with the words appearing appearing on screen to assist the player, however where the title does shine is through its music content that is simply superb. The game definitely needs a good sound setup if you wish to truly experience the title as a rock star. The best part of the song list is the diversity and for me, almost all the tracks were enjoyable. In conclusion, Singstar Hottest Hits continues to make this franchise one of the most popular games for both non-gamers and gamers. Although it may not offer new in terms of gameplay, Singstar Hottest Hits has always been about music and the title thoroughly delivers on this occasion. Definitely one for fans of the franchise!